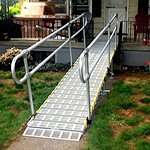 There are two kinds of approach plates that you can use to transition from a ramp to the platform or landing you are accessing. 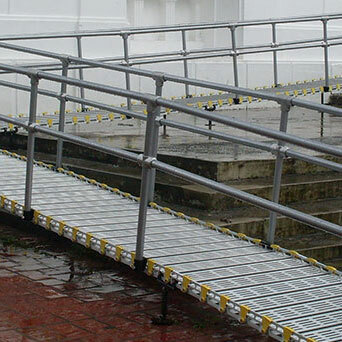 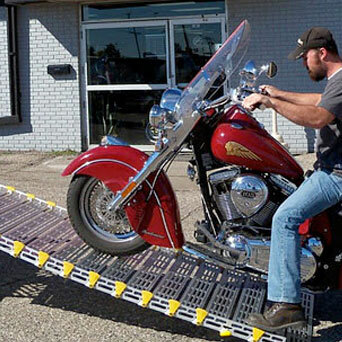 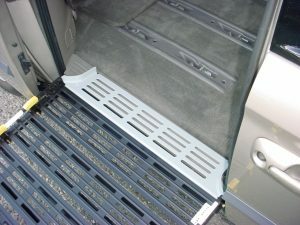 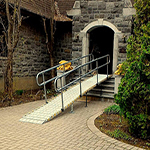 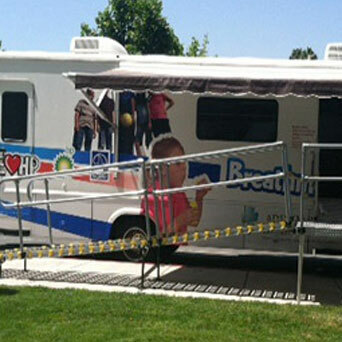 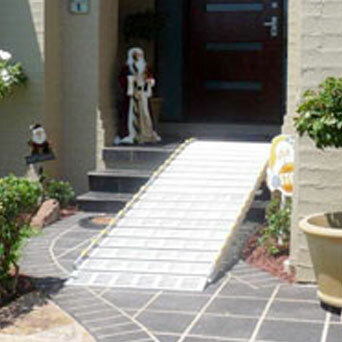 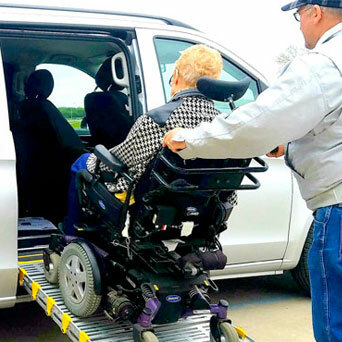 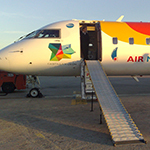 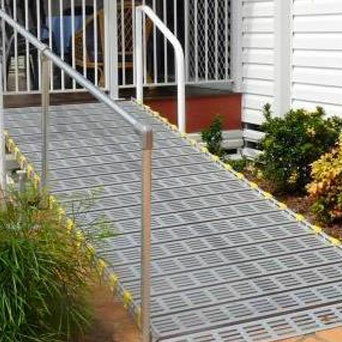 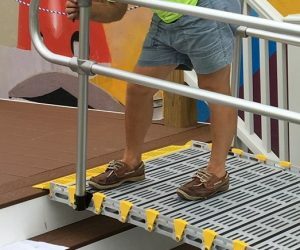 The Standard Approach Plate comes standard with every ramp and requires that the approach plate and the first link of the ramp rest on the platform or landing you are accessing. 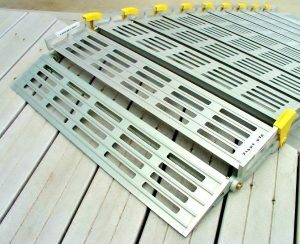 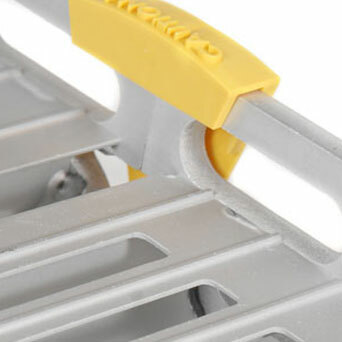 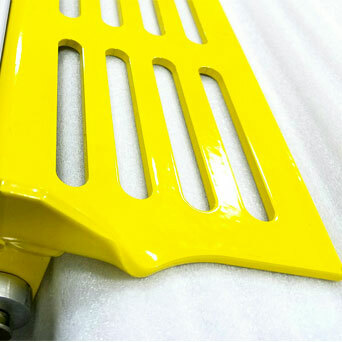 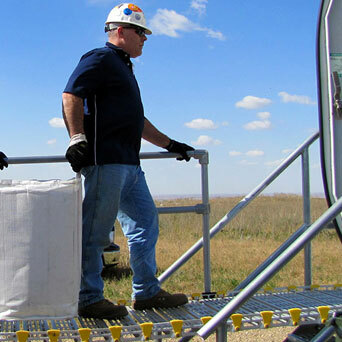 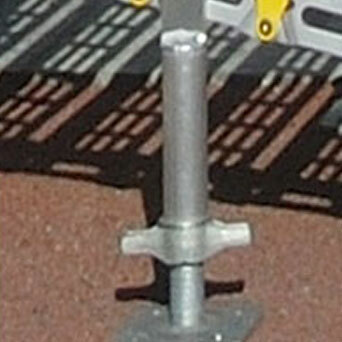 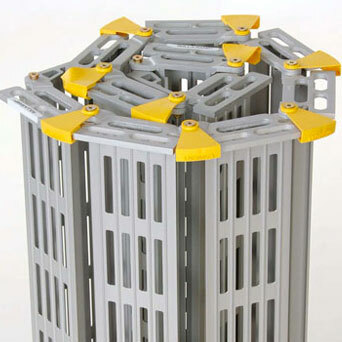 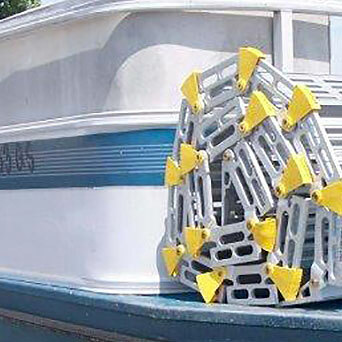 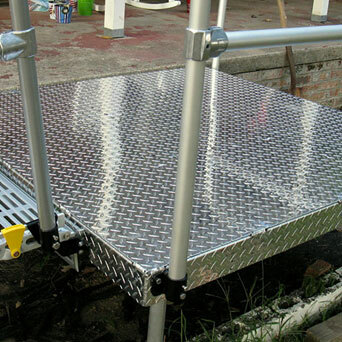 The Heavy-Duty Approach Plate can simply rest on the landing or platform. 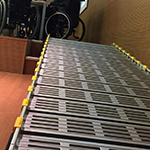 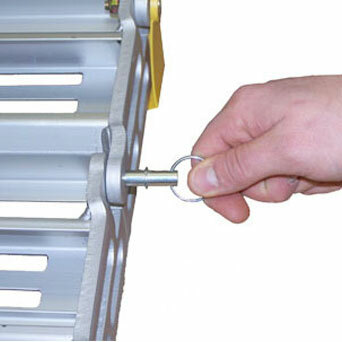 Reducer Plates are used when the ramp is wider than a doorway – it reduces the width and allows you to secure a ramp in a narrow doorway. 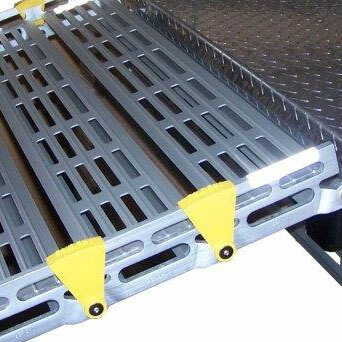 Check out our video that explains the difference between Heavy-Duty and Standard Approach Plates.